Erin go braugh! St. Patrick’s Day is almost upon us. If you’re still making plans, you might want to see if there’s still space in CB Hannegan’s. 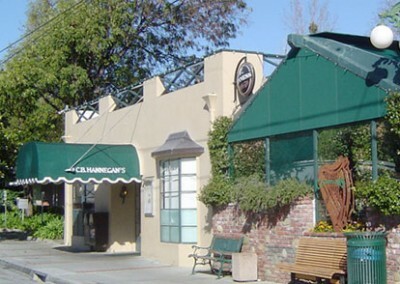 Hannegan’s is a hallowed place for Los Gatans and it never really fully comes to life except on March 17th. Because it’s an Irish pub so far away from home, and St. Patty’s day is a holiday on which everyone is an honorary Irishman, they make the effort to paint the place green. Their plans start up at 10 AM with bagpipes at 11:30, Irish music after that with The Cruzers finishing off the evening California-style with some rock and roll. Hit the link below to see the plans for the evening on CB Hannegan’s website.